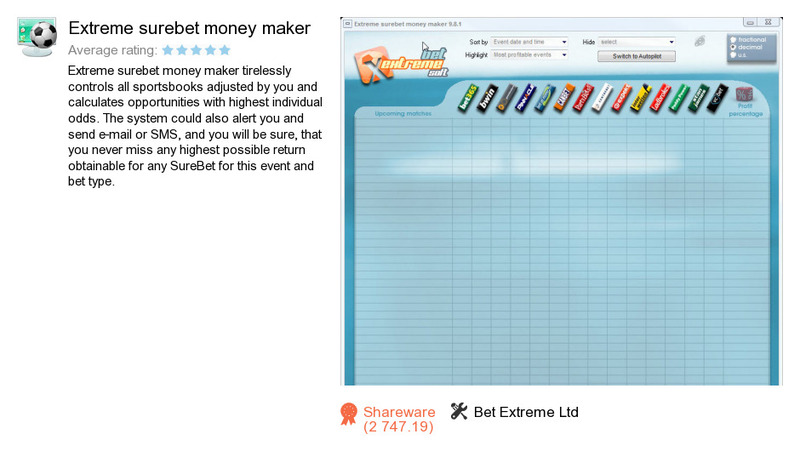 Extreme surebet money maker is a software program developed by Bet Extreme Ltd. We know of versions 9.8, 9.6. Version 9.8.1 is downloadable at our site. Extreme surebet money maker package has a size of 1,422,630 bytes. Bet Extreme Ltd also publishes Extreme surebet optimizer for 2 results and Extreme surebet optimizer for 3 results.